Easy to use, quick brewing, can control strength and avoid bitterness. 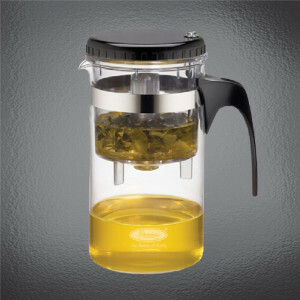 All-in-one set; can be used to brew, filter and drink tea. No need to bring another cup when used for personal use; also ideal for situations with many guests. As this set will not absorb odours, it will preserve the tea’s original aroma and can be used for tea tasting.Tea leaves can be steeped more times than with other pots. 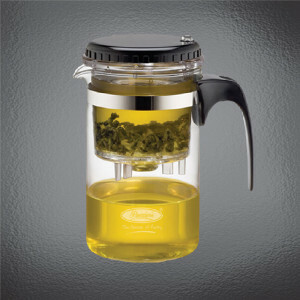 Can brew flower tea, green tea, medicinal tea; tea leaves or tea bags may be used. Built-in stainless steel filter lets you brew without filter paper.